Packing is a huge part of moving. It is kind of obvious – there isn’t much moving if you are not actually moving your items. Since the process can take some time if you are doing it without any Jersey City Movers, it’s one of the things that many people dread. And then, you realize just how carefully you need to pack your fragile things, and the trouble starts. But fear not! In this article, we give you helpful hints and tips on how to properly pack fragile items for either big or small moves. Decide what items you will take with you. The first thing you need to decide is whether you really need your fragile items in your new home. Go through your things and see what items you have not used in a year. 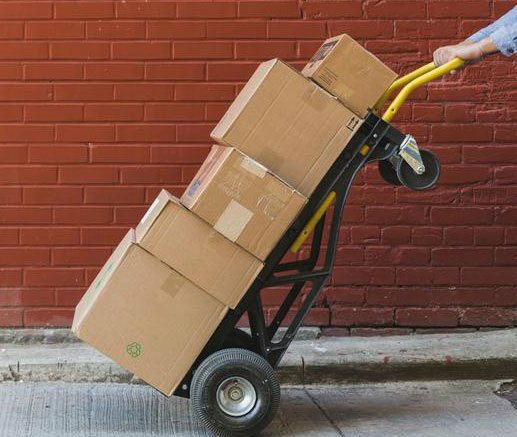 Experts say that you should sell or gift these items instead of moving them. It is because, in the long run, it will be cheaper for you to buy new items than to paying extra for ones you’re not using. Another great idea is to make a list of all the things you have, as well as a list of all the breakables. This can help you make a decision on what you will be taking with you, as well as what material you will need to properly pack fragile items you have. There are even phone apps that can help you with this! You can get them on your iPhone and Android. sturdy cardboard boxes – you obviously need these to properly pack fragile items in them. The sturdier the better – that way, they cannot bend or break during the transport or in the moving truck. packing paper – you will need tons of clean and soft packing paper to wrap your things in. bubble wrap – invest in a couple of rolls. The bubble wrap is there to keep your fragile items safe and secure during the transport – and it’s also fun to play with after the move! packing tape – we highly encourage you to get the best packing tape you can find – you do not want a box opening during the transport and your fragile items running all over the truck. You can find the moving supplies in most general stores. Try contacting your Jersey City local movers – they might even have some cheap supplies to offer you! Make sure your boxes are secured to properly pack fragile items. Preparing your boxes is equally important as getting them in order to properly pack fragile items. There are a couple of things you can to do prepare them for the move. The first thing is to inspect them thoroughly. Check for any structural damage they might have. You do not want to place your breakables in a box that might have holes in it – or seems like it will break easily. Also, check for water damage – water can reduce the integrity of the box as well! The second thing you can do is secure the boxes. There are a number of ways to do this. You can use your fancy high-quality packing tape at the sides and ad the bottom of the box. This way, you make boxes firmer and less likely to bend due to pressure. You can also crumple a bunch of paper (such as newspaper) and place it on the bottom of the box. This paper becomes an insulator and helps reduce the stress on your items during the move. Finally, the time has come for you to properly pack fragile items you have. There are many things to take into consideration when doing this. The first thing you can do is to set up a packing station. This can be any surface in any room, but try to find one that’s clean, flat and stable. This can be anything – from a floor to a kitchen table. Having a place to properly pack fragile items can help you do it more efficiently. Another thing to keep in mind is the size and the weight of the boxes. It’s usually recommended that you use small and medium-sized boxes for packing fragile items. This way, you don’t leave the room inside the box for your items to jump around during transport. You should also try and not make the boxes too heavy. Your moving company might need to stack the boxes on top of each other, so making a box too heavy can hurt others. Once you have the proper sized box and the items you need, wrap them carefully with the packing paper and put them into the box. Then, put the bubble wrap on top to increase the security of the items. There are different ways to properly pack fragile items. Finally, there are certain tips on how to pack special types of fragile items – like silverware, glassware etc. You should pack plates in stacks. Stack a couple of plates together, each wrapped in packing paper. Then wrap the whole stack in more paper. Finally, place the stack vertically. Use small or medium-sized boxes so they don’t jump around. However, be careful not to overpack the box. When packing glasses, use packing paper to fill the empty spaces. This is recommended to lessen the vibrations and stress the glasses go through during transport. After that, wrap each glass in paper individually, and place more paper between two glasses in the box. Pack the glasses vertically as well, with heavier once on the bottom of the box. When packing items with glass panes, like wardrobes or picture frames, it’s a smart move to tape a cross or a star on the glass. This is done to reduce the vibrations during the travel, thus reducing the risk of the glass breaking.